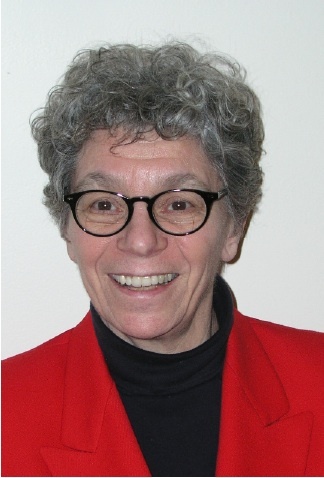 Rabbi Carla Freedman was born and raised in Winnipeg, Manitoba, Canada. She received a B.A and a Master’s in Educational Psychology from the University of Manitoba. She was among the founders of Temple Shalom in Winnipeg, and was active in it while she lived there. Before she went to rabbinical school, she worked as a management training specialist for the Canadian Department of Transport and as a counselor in private practice. She received a Master’s degree in Hebrew Letters from the Hebrew Union College-Jewish Institute of Religion in Cincinnati in 1989, and was ordained there in 1990. Rabbi Freedman served Beth Israel Congregation in Plattsburgh, New York from 1990 to 1997. Then she served The Jewish Family Congregation in South Salem, New York, from 1997 to 2013. She has served Beth Israel Congregation in Sun City, Florida, since then. In all these locations, Rabbi Freedman has been actively involved in community and interfaith organizations, and has enjoyed teaching people of all ages. Rabbi Freedman has the distinction of becoming the first Canadian woman ordained as a rabbi. She was also the first rabbi to become a grandmother, in 1992. Her daughter Deborah and husband Tim live in Kingston, Ontario, and her daughter Rena and husband Michael live in Toronto, Ontario. Rena’s two adult children, Jesse and Brianna, both now college graduates, live in Toronto as well. I came to Beth Israel in Sun City Center in July of 2013, looking for a community of people my own age with interests and needs like mine. I have been greatly rewarded by serving a community of Jews who are members of the synagogue because they want to be, not because they feel an obligation to educate their children. Over the years, I have worked closely with our Ritual Committee to make our Shabbat services lively, with new music, with new prayers, and with sermons and divrei Torah intended to connect Jewish values and beliefs with contemporary living. With the purchase three years ago of the newest High Holy Days prayer books from the Reform movement, we have added great depth and meaning to these services as well. Since I arrived here, I have taught many classes, and continue to do so; these are well attended, because the congregants are eager to learn. You can see the range of topics and the variety of these classes under the heading of Learning and Education. I also enjoy teaching in the two venues in town that offer classes to the community at large; this increases the presence of Beth Israel hereabouts. I have also been kept busy by the need to visit members in hospital or in the various rehab/nursing facilities in the area. This too has been rewarding, because these visits clearly matter to our congregants. Since so many of us are away from family and friends of long standing, our temple community quickly steps in to be “family and friends”; we never know when we will need that helping hand, that familiar face, that reassuring presence. I am actively involved with interfaith activities, and greatly appreciate the handful of colleagues with whom I have a warm and supportive relationship. We share values and goals, and work well together to bring our congregations in contact to support shared objectives. In short, I love working with Beth Israel, and am grateful to have a found a community to serve “with all my heart and soul and might”.